The FreeRDP project was started after Microsoft opened up the specifications for their proprietary protocol RDP. At that moment, a client called rdesktop was already in use, based mostly on work of reverse engineering. As they were implementing the protocol, the developers found it difficult to add new functionality because of architectural issues. Changes to the architecture entailed a conflict between the developers and led to creating a fork of rdesktop known as FreeRDP. Further distribution was limited by the GPLv2 license, and the authors decided to relicense to Apache License v2. However, some were unwilling to change the license, so the developers decided to rewrite the code base from scratch and that's how the project as we know it today came into existence. The complete history of the project is available on the official blog: "The history of the FreeRDP project". I used PVS-Studio to scan the project for bugs and potential vulnerabilities. PVS-Studio is a static analyzer for code written in C, C++, C#, and Java and runs on Windows, Linux, and macOS. Note that I'll be discussing only the bugs that looked most interesting to me. This snippet comes from the winpr subsystem, which implements a WINAPI wrapper for non-Windows systems, i.e. acts as a lighter equivalent of Wine. The code above contains a memory leak: the memory allocated by the getcwd function is released only in special-case branches. To fix this, the authors should add a call to free after the call to memcpy. In this example, a new element will be added to the list even when the latter has already reached the maximum number of elements. This bug can be fixed by simply replacing the <= operator with <. What we see here is an ordinary typo: both the first and second conditions check the same variable. It looks much like a product of bad copy-paste. Another typo: the comment says we should expect the minorVersion variable to be read from the stream, while the value is read into the variable majorVersion. I'm not familiar with the project well enough to tell for sure, though. As the comment suggests, the trio_index function finds the first character occurrence in the string, while the trio_index_last function finds the last occurrence. Yet bodies of both these functions are exactly the same! This must be a typo and the trio_index_last function should probably return strrchr instead of strchr — in that case, the program would behave as expected. The developer must have accidentally left out the negation operator ! before data. I wonder why no one noticed it earlier. The last two conditions are the same: the programmer must have forgotten to change the copy. Judging by the code's logic, the last part handles four-byte values, so we could assume that the last condition should check if value <= 0x3FFFFFFF. The check of the function's return value is faulty. The strcat function returns a pointer to the target string, i.e. the first parameter, which in this case is target. But if it does equal NULL, it's too late to check it as it will have been already dereferenced in the strcat function. In this snippet, the cache variable is assigned the address of the static array glyphCache->glyphCache. The check if (cache) can, therefore, be removed. The fp handle to the file created by the CreateFile function was closed by mistake by calling the fclose function from the standard library rather than the function CloseHandle. This snippet might be correct, but it's suspicious that both conditions contain identical messages — one of them is probably unnecessary. The free function can be called on a null pointer, and PVS-Studio knows that. But if the pointer is found to be always null, like in this snippet, the analyzer will issue a warning. The mszGroupsA pointer is initially set to NULL and is not initialized anywhere else. The only branch where it could be initialized is unreachable. Abandoned variables like that seem to be residues left after refactoring and can be removed. Casting the expression result to long won't prevent an overflow since the evaluation is done on the value while it is still of type int. The context pointer is dereferenced during its initialization, i.e. before the check. It's easy to see that the first condition doesn't make sense because the value in question was already assigned before. This code triggers two warnings at once. The %u placeholder is used for variables of type unsigned int, while the sub variable is of type int. The second warning points out a suspicious check: the right part of the conditional expression doesn't make sense as the variable was already checked for 1 in the left part. I'm not sure about the author's intentions, but something is obviously wrong with this code. The check revealed lots of bugs, and those discussed above are just the most interesting ones. The project developers are welcome to submit a form for a temporary license key on the PVS-Studio website to do their own check. The analyzer also produced a number of false positives, which we will fix to improve its performance. 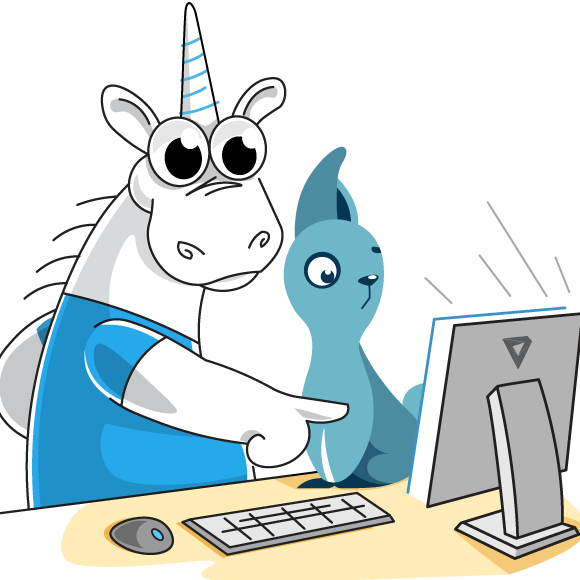 Note that static analysis is indispensable if your goal is not only to improve the code quality but also make bug hunting less time-consuming — and that's where PVS-Studio will come in handy. ﻿Checking rdesktop and xrdp with PVS-Studio.